Guests - Who To Invite? In his book "Marriage for Moderns", H. Bowman says, "The more orderly this preparation is, the more foresight and planning are applied, the less will be the fatigue and tension." 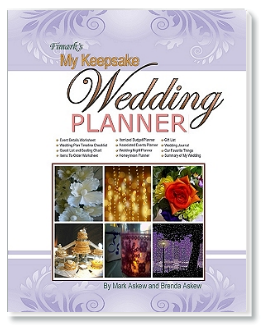 My Keepsake Wedding Planner is designed for that purpose. Wedding preparations include numerous activities, from sending invitations to organizing the reception. 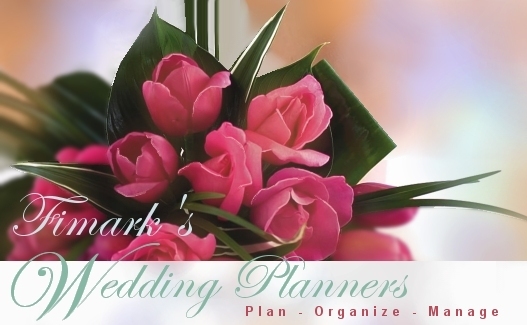 This wedding planning resource is designed to help you have a more memorable wedding day while entering your marriage a bit more refreshed and focused on your loved one. It is suggested that you start on the right column and read thru each linked section printing out the pages as needed. Remember to give priority to the Planning Wedding Budget section. Want to know what the bride to be would like as a gift? "My Wedding Planner" features a gift registry available for all brides to be. Looking for great gift ideas for the bridal party? Look no further. My Wedding Planner sponsors have the gifts they'll love. The key to making your wedding meaningful and memorable is all in the planning itself. This is a time to explore yourself. Principles and traditions that are important to you. An opportunity to express the depth of your love and trust in your husband to be. Your wedding takes on special meaning when you surround yourself with your most precious relationships. Besides the husband to be you'll want to keep close contact with family and best friends. Remember that you cannot please everyone. What's most important is who this most honored occasion is for, the uniting of Bride and Groom as husband and wife. So Many Friends and Relatives! The longer the list the higher the expense. How to get most if not all to share in your wedding day. This full color page book guides you through the wedding planning process and all associated events from engagement to the honeymoon. Complete with Timeline planning guide checklists and associated worksheets. Honeymoon Planner Journal and Memory Scrapbook Photo and Flower Press Placements Signature His and Her Favorite Things section.